Stunning River Frontage! This 3BR/3BA cabin is situated on one of the widest stretches of the Coosawattee River! Comes FULLY FURNISHED and each bedroom has its own bath, 3 en-suites! 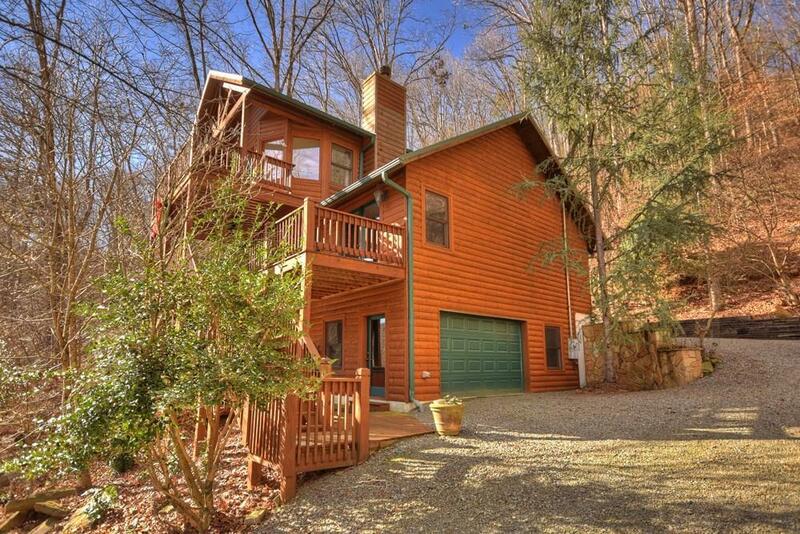 You will love the huge master suite & private deck overlooking the river. Great room features hardwood floors, rock fireplace w/gas logs & kitchen w/granite countertops. Game area & den in basement. (Most every room has view of river!) Plentiful covered porches & decks, hot tub and basement garage; room for all your outdoor gear. Fantastic vacation home, will also make a great rental!